Let’s squeeze out a wee episode before we have to pass around the turkey! Dance of the Sugar Plum Rough Fells is back by popular demand! With kind thanks to Felix Ford and Kevin MacLeod! The original recordings of these sheep (and more) can be found at KnitSonik’s sound cloud page. Thank you so much for your feedback from the last couple of episodes. It is so great to take the ideas of the value in knitting and knitworthiness to a larger discussion. There have also been some knitters this week talking about what it means to be thought of as knitworthy by another knitter. I have first had experience of this as lovely listener Victoria made me a Stac Shoaigh shawl (pattern by Ysolda). I recently got to meet Victoria and thank her for this lovely gesture. It makes me feel very special every time I wear it and I feel very touched that she made it for me. The hug I gave her in return doesn’t quite go far enough to say thanks. 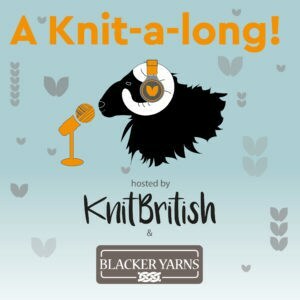 Thanks for your enthusiasm after the early announcement that there will be a PodcastLounge KAL at the Edinburgh Yarn Festival next year. We cast on on the 19th January and cast off on 4th March. You can knit or crochet any design but it must be in Blacker Yarns! (you can use something else in addition to Blacker, but only items made in Blacker will be eligible for a stall discount at EYF). 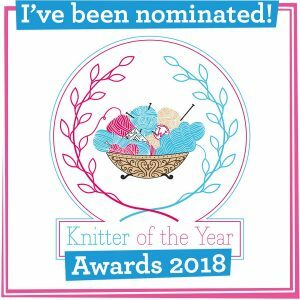 As this KAL is pretty open and laidback we would really love to hear of groups, knitting circles, designers, podcasters, etc fielding their own KAL team. 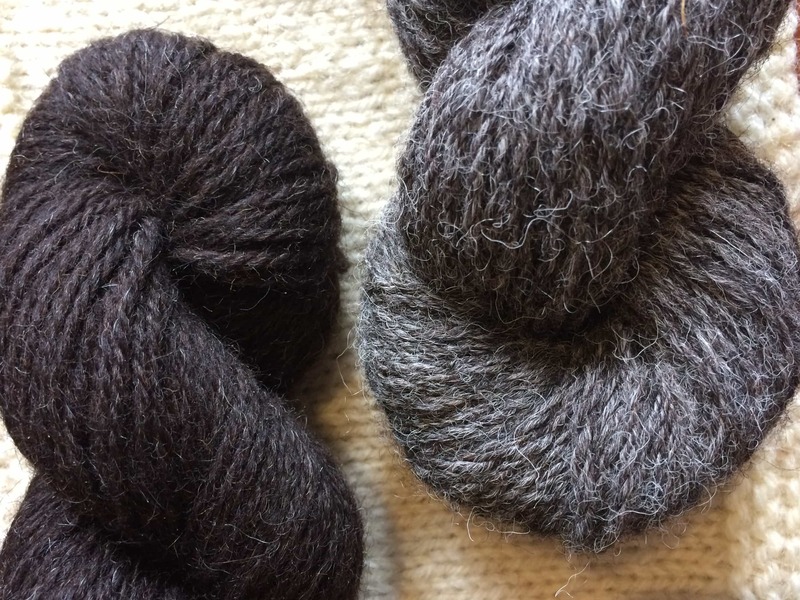 You can either knit the same design or work on your own projects in Blacker Yarns and this is a lovely way to foster a great community spirit into the KAL – both for those who can go to EYF and those who want to take part from afar. 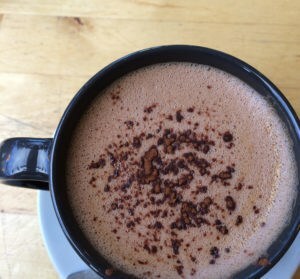 It is a great way to ramp up the excitement if you know that your ravelry group are going to be meeting at EYF. There is already one team I know of, #TeamKNITRUNDIG – this is a team fielded by Sam of the KnitRunDig podcast and there is more info on her latest episode. Do let me know if you have a team – create a team hashtag and use that, along with #BlackerPodKAL on social media. Whether you are knitting individually or as part of a team we can’t wait to see what you make! More info early next year. The pattern swap is back for a third year. We will be gifting a pattern to our KB group members and so it is time to tidy up those wishlists! We all know this time of year can be less than festive for some – so the gift of a pattern is a really lovely thing and it will kick off our knitting challenges for 2017! Sign ups close on Monday, so don’t delay if you want to take part. You should gift your pattern by Christmas Eve. And on the subject of knitting challenges, what is on your knit list for 2017? Judith Goodfellow, of Fine Fettle Fibres, asked me to mention her retreat which is happening in Northumberland from 23-26 Feb 2017. You can find out all the details of this very special long weekend retreat by clicking here. 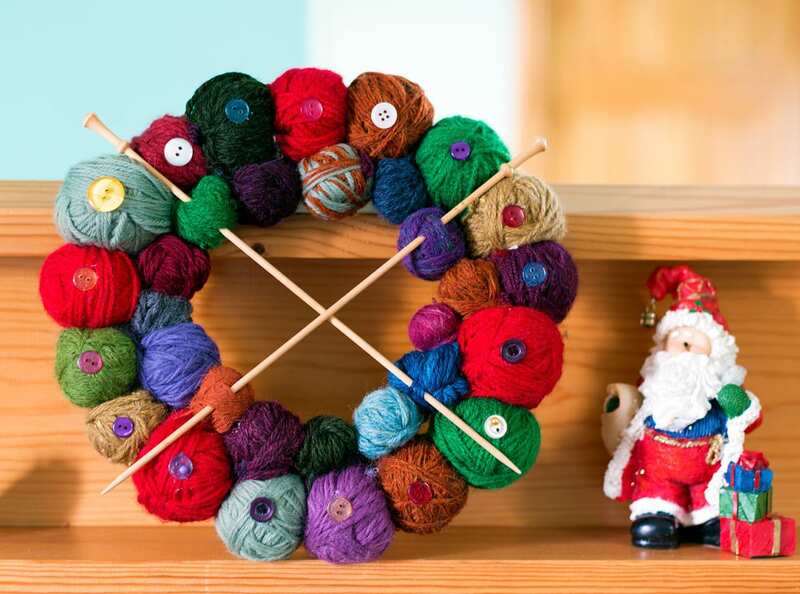 What a lovely way to kick off your knitting year?! I will be back next year with more podcasts! I forgot to mention it in the podcast but the Woolly Muckers will be launching in January – we are making some changes to the website behind the scenes, so this and working full time has meant its taking longer to do, but I want to do it right! Bear with! 2016 has been a poor year, but I will not be saying Good Riddance! Too many incredible things have happened to me in 2016 and I am sure they have for you too. It is easy to focus on the negative, but we need to push on with love and positivity. God forbid, we might look back one day and think – in the grand scheme of things – 2016 was the least of our problems! I hope not, sincerely I do. But I am going forward into 2017 holding close all the wonderful things that I’ve experienced both here on KB and in the parts of my life that I don’t choose to share online. 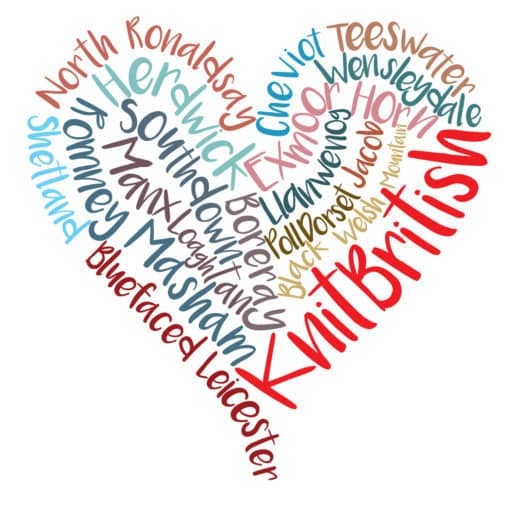 I have nothing but warm winter wishes for you all and thank you so much for being part of KnitBritish! I had meant to say this before your next post but as usual life gets in the way. I have recently had a change of direction in my life (only partially by choice but am making the very best of it) and have returned to art. So instead of knitting, my recent WIPs, while listening to your podcasts, have been my paintings. I listened with interest your discussions regarding how to charge for your work, how to take pride in the things you create and believe in the value of your work. It was like a revelation- a light bulb moment. I followed your links (episode 71) Craft Fair UK- Craft Pricing Calculator and realised how little I was charging and that I STILL felt apologetic at the pricing – now I feel empowered and even though I am painting and not knitting (that gets done in the evenings) I gained SO MUCH from your podcasts and links – thank you thank you thank you!! Hello, I am a relatively new listener and want to thank you for all of your thoughts and information about knitting. Definitely look forward to more in 2017. Also, I just finished a sweater out of the lovely Rosedean Ryeland yarn which I purchased at your recommendation. The yarn is fantastic so thank you for that as well. Have a safe and happy holiday. Next Post#BlackerPodKAL is coming! What will you make?